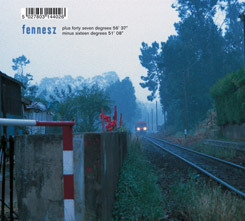 Touch has reissued a digipak version of Fennesz's first studio album for Touch, previously released as a jewel case in 1999. [There was prior to that a deluxe edition of 1000 copies in landscape art format, which sold out immediately.] It has been out of print for a couple of years. The audio remains the same, the imagery uses the location shots from the deluxe edition.